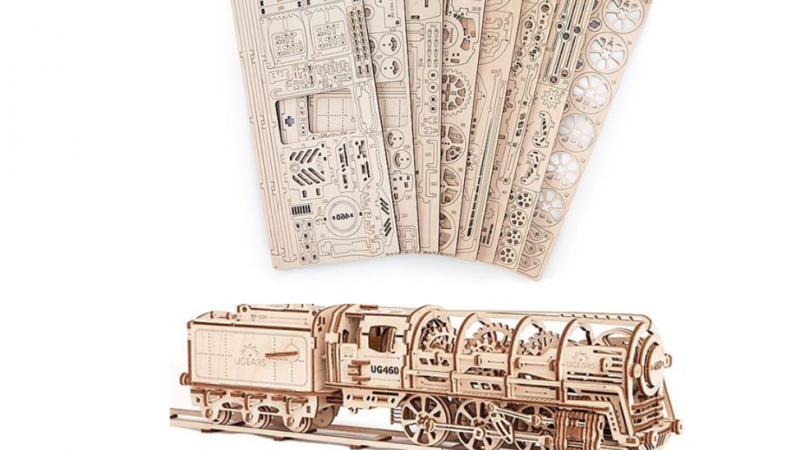 This intricate functioning wooden locomotive model kit is perfect if you want to learn more about engines. 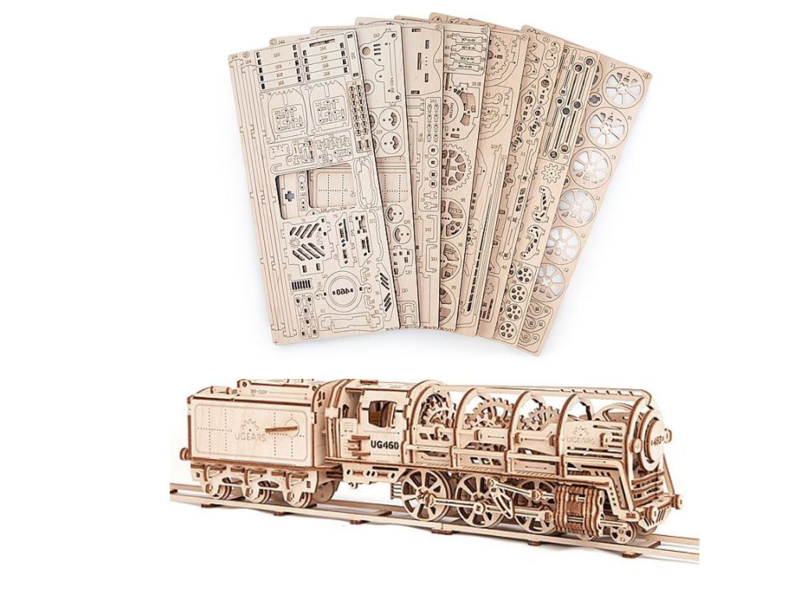 It's also a wonderful project for anyone who loves building things because it can be assembled without nails or glue. The engine is rubber band powered and visible in the completed locomotive so you can get a good look at how it works. This is a model of a 19th century locomotive that you will enjoy because it is designed really well. To assemble it you simply pop the pre cut pieces out of the plywood and put it together as instructed. Watch the engine work as the locomotive moves. It is cool because there is an asynchronously operating piston and valve mechanism that are clearly visible. It makes a great display piece or you can enjoy watching it move across the floor. This is recommended for anyone over the age of 13 because building it is a little too complicated for a younger child. The train's cabin doors are functional so you can open them to look inside the train. There is also a retractable ladder underneath the doors. The plywood used is baltic birch plywood. When constructed the train measures 24 inches long, 4 inches wide and 5 inches high.